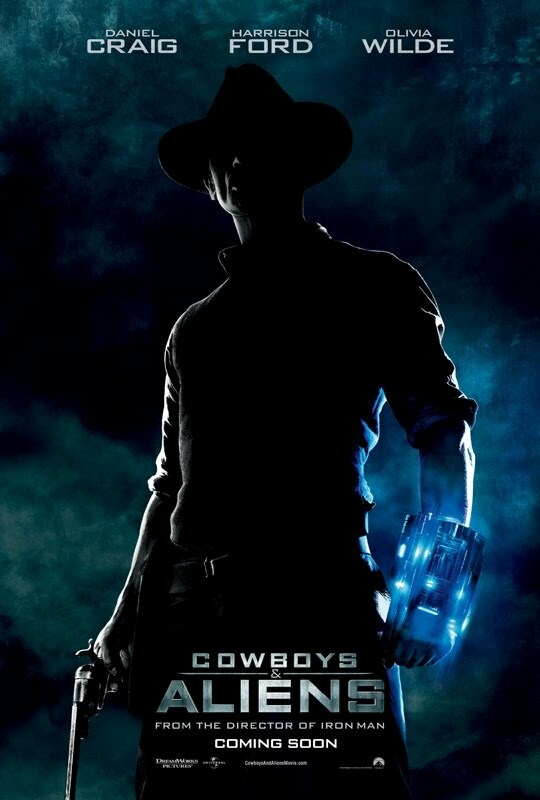 Saw Cowboys and Aliens last night - for some reason all the films we've been seeing are action films! Perhaps in a way they justify going to the cinema... I'm not saying non-action films aren't worth going to the cinema for, and people who know me know I prefer those to action films, all I'm saying is that action films need to be seen in the cinema...if that makes sense! I didn't know the film's based on the comics of the same title. The juxtaposition of cowboys and aliens is of course quite interesting (albeit a bit ridiculous too), but it adds to the surreal dimension of the film. Just like any other action film, it's an enjoyable 2 hours, but that's about it. One thing that's quite different from films involving aliens that we've seen recently is that, the aliens here are not portrayed as 'victims' which are abused by humans and are attacking humans as revenge. They're evil, full stop, and the humans are only attacking them to protect themselves. Not bad for two hours of entertainment!